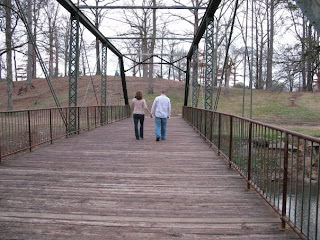 This post is written about a bridge in Trussville by Sidnie of Green Enough for Me. 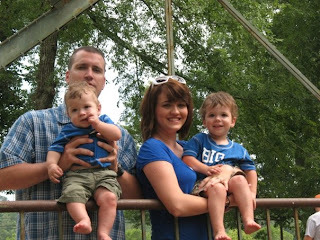 Sidnie is a native Alabamian who is currently living in Germany with her military husband and two boys, Austin and Cade. Her husband will be deploying to Afghanistan soon. 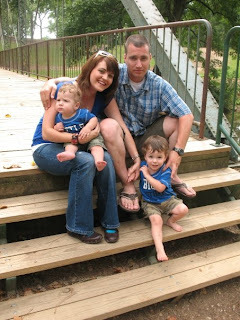 Her blog is an amazing, and often heart-wrenching peek inside the lives of those serving our country overseas. You can also follow Sidnie on Twitter at greenenough4me. In my hometown, there's this green bridge that crosses over this river. It's not much. Not much at all. But this bridge, the kissing bridge, could quite honestly be my favorite place on earth. I'm sure if it could talk, it'd tell the most vibrant stories. David and I, newlyweds. David, living in Germany, home on leave. A month away from Austin's birth. January of 2007. For as long as I can remember, it's been there. And long before that, it was somewhere else. It's endured a several mile move, involving trucks and cranes. I can just imagine the people it took to get it settled into its new home. I remember taking pictures with my cousins on this bridge when we were little, all snaggle toothed but still grinning. I wish I had those pictures to share, but they're more than likely tucked in an old suitcase at the foot of the bed in the guest room at my parent's house. I remember many cross country practices running across this bridge, hearing the wood pound beneath our feet. Always confident that the sturdy, old bridge would hold our weight. 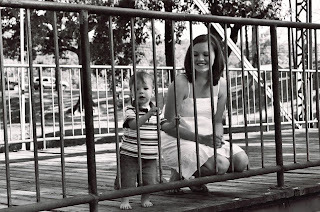 Austin and Sidnie, 4 months pregnant with Cade. Daddy is in Iraq. June of 2008. It's just off the main highway that runs through town. There's a few concrete picnic tables and a grassy area. But nothing more. Somedays, you can find some boys fishing for minnows. Or some barefoot children wading through the ankle deep water. You could tell how bad a storm was by how much of the bridge was covered with muddy red water. The town flooded once, years ago, and the bridge was covered for what seemed like forever. When the water receded, the bridge was still there. Covered with debris, but still there. David, Sidnie, Austin and Cade. All of us on our last day home on leave after David's deployment. July 5, 2009. As our family changes, so does the bridge. It's older. And parts have been replaced. It's needed paint over the years and probably needs some work that remains unseen. It's been rained on. And ran across. It stands firm across the river. It holds up to the footprints and the weather. It may creak, here and there, but it never sways. It's been through hell and back. But its always there. It's strong. 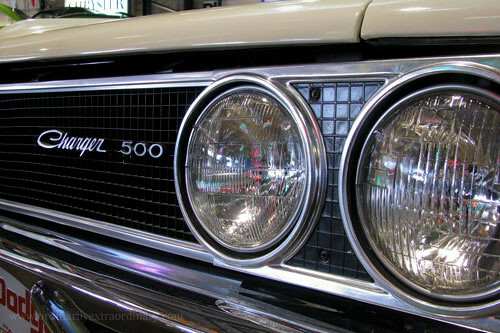 And beautiful. And confident. "The ties that binds us are sometimes impossible to explain. They connect us even after it seems like the ties should be broken. Some bonds defy distance and time and logic; Because some ties are simply... meant to be." Where is your favorite place in Alabama? 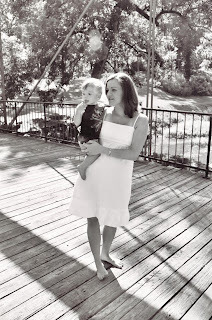 Local Blogger Featured on Upcoming Reality Series! If you’ve never visited Birminghamian Stephen Vinson’s blog, titled “Who Ate My Blog?”, you’re missing out on an unbelievably inspiring story that’s been taking place for the last two years. Stephen started his blog in February 2009, weighing in at 632 pounds. And, on his own (without weight loss surgery or being on The Biggest Loser or anything similar), has already lost over 230 pounds! He has used blogging as a tool to keep himself motivated and accountable, as well as to make connections with others on similar journeys. I personally have been inspired by Stephen’s determination, vulnerability, and perseverance. And, I’ve been thoroughly blown away by his pounds melting away every time I’ve seen him at one of our blogger meet-ups – he’s constantly looking dramatically smaller! And now, Stephen is getting some well-deserved media attention, and will be featured on ABC 33/40’s Talk of Alabama’s mini-series, Champions For Health, scheduled to air starting in February! Champions for Health will tell the real (not sensationalized reality TV) stories of five people on their weight loss journey. They will be sharing their stories, working with YMCA trainers, and sharing strategies and tips to help others live a more healthy lifestyle. As more specific information is available regarding the series start date and schedule, I will share it here. Also, the episodes will be available online once they air. But in the meantime, I encourage you to check out Stephen’s blog, and be encouraged by his incredible journey! Basically, there’s a lot of talking. Talking about blogging and not about blogging, having serious conversations, technical conversations, and even hilarious conversations! We all get so caught up in blogging being our “virtual world” that we forget the benefits of talking face-to-face with those virtual people until we try it – and it is so enriching! I hope you can join us for our February Meet-Up – date and details to be announced soon! Thank you so much to Amy for her event photography. 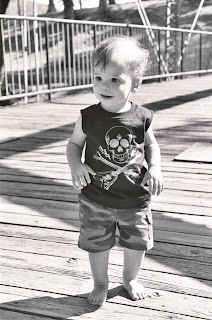 Amy’s amazing photography skills can be seen on her blog, Ordinarily Extraordinary. We had one of our largest crowds ever today at the Alabama Bloggers Lunch! With well over 20 people there, I didn't get to talk to many people as long as I wanted to - but I hope that everyone had a great time visiting with those sitting near them! Thanks SO much to Wade for hosting the event this month - you did a fabulous job, and I REALLY appreciate all of your efforts! And thank you to Amy, who took some pictures of the group today - I'll try to get those up tomorrow. 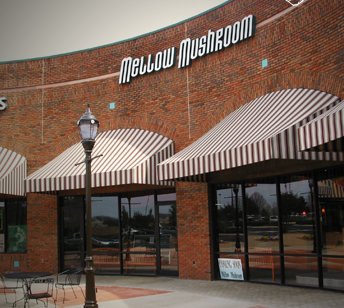 And finally, a special thanks to Hallie Gibbs and the awesome staff at the Mellow Mushroom for taking such great care of us! 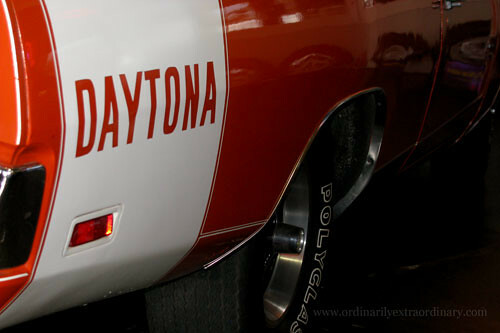 We will be announcing the February Meet-Up details very soon, so keep your eye out and be sure to come!! If you came to the meet-up today, please link your blog or twitter up below if you were there so that we can all find each other! 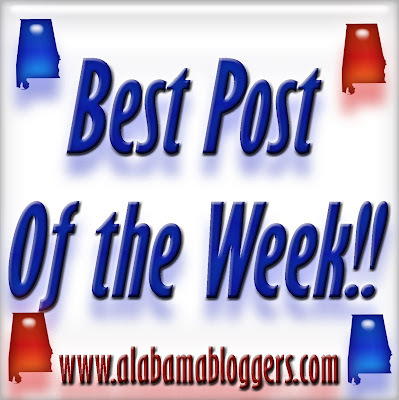 Tune In Tonight to Hear An Alabama Blogger!! Nick Lovelady from Cupboards in Sylacauga (http://cupboardsonline.com) will be the guest on the Blue Collar Radio Network tonight at 8pm CST, where the focus will be squarely on small-business blogging/social media and the way it has changed/is changing their kitchen and bath firm. Nick has done a fabulous job of jumping into blogging and social networking based around his business (but with a personal touch as well), and has become very successful and well known very quickly - I am amazed at how well he has grown his blog! I'm sure that he will have some amazing tips and insights applicable to both business and non-business bloggers. The Blue Collar Radio Network is an online-based network that focuses on the needs of the business community. Sean Lintow, Sr. of SLS Construction (http://blog.sls-construction.com/) in North Alabama was a recent guest, and next weeks guest is also an Alabama native, Libby Webb from New Market BBQ in New Market, AL. For a national business radio show, it has lots of Alabama flavor! You can check out the broadcast and chat live with Nick and the Blue Collar radio host James Dibben at: http://bcrn.tv/live Podcasts will be available after the broadcast tonight but be there at 8pm to join the chat! Don't forget January Meet-up Next Wednesday - RSVP Today! P.S. 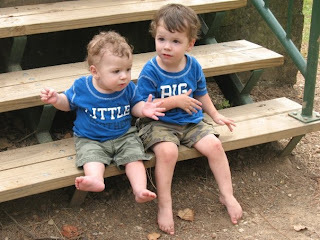 If you can help organize a meet-up for March, please e-mail Rachel at rachel@alabamabloggers.com. 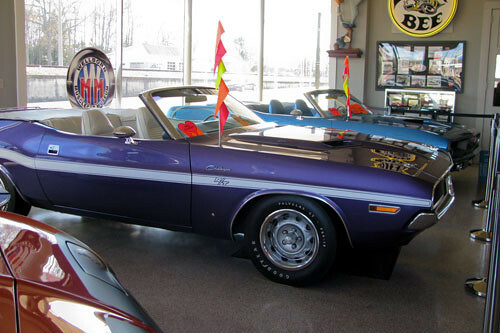 Do you have a guy, big or little, in your life that is fascinated with cars? My son is always talking about cars, their engines and many other things that I usually don’t understand inevitably end up in almost every conversation. 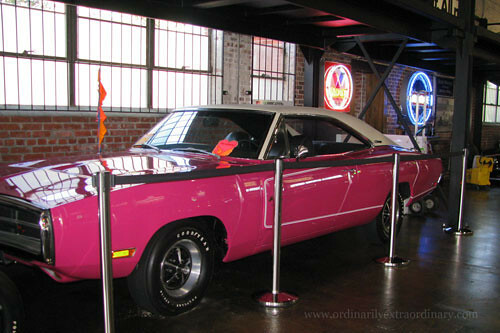 If any of the guys in your life are like this and you're ever near or around Alexander City check out the Wellborn Muscle Car Museum. I took my son and a friend and for almost an hour listened to them oh and ah about these cars. I may not be into cars, but to see this many in one place was interesting. 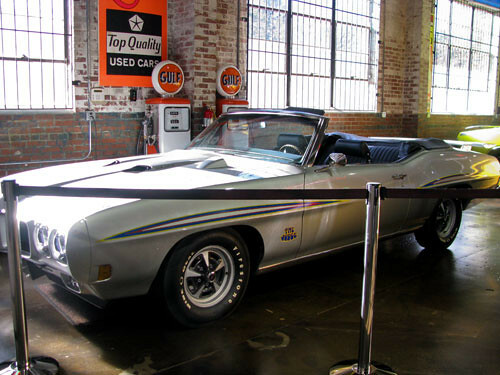 Located in downtown Alexander City, the Wellborn Muscle Car Museum is a wonderful trip for those guys in your life that are fascinated by muscle cars of the 1960s and 1970s. 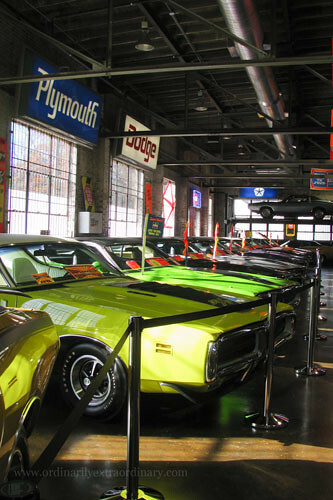 It is the largest museum of its kind, dedicated to the height of the musclecar era of 1969-1971. For more information visit their website. 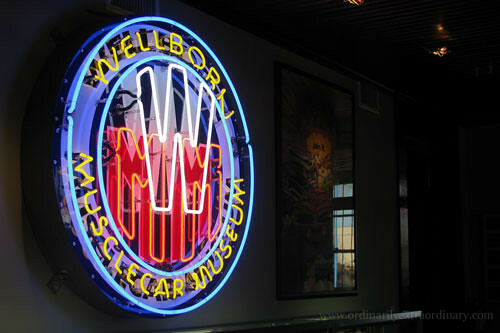 For many years, the Wellborns had owned and mutually managed a fabulous kitchen cabinet manufacturing company. Their life has been spent working side by side running the day to day operations of the company and casually collecting cars together. It was perfect until an unexpected turn of events changed everything.